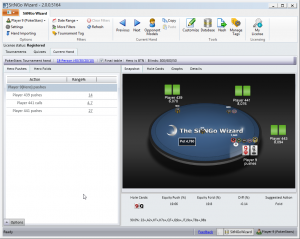 The current hand analyzes the currently selected hand. 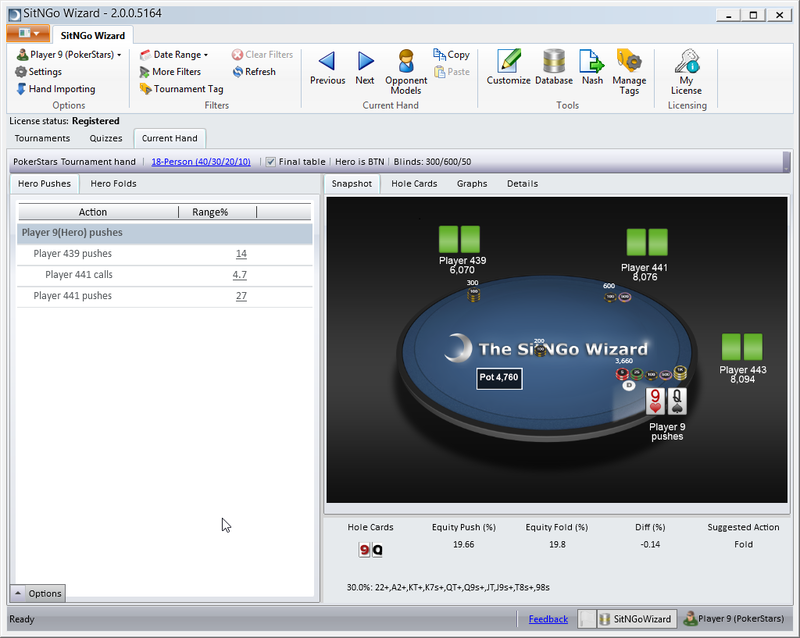 The current hand can be the last hand selected in the tournament view or a custom hand created with the customize command. The current hand view contains the following components.